Thank you so much for the opportunity to appear today on Just Romantic Suspense. At some point in most people’s lives, they are likely to encounter an emotional manipulator. Whether this person be a friend, boyfriend, girlfriend or sibling, these people are skilled at manipulating and controlling your emotions in an attempt to get what they want. Laila Richards, the heroine in my latest romantic suspense novel, ‘In Safe Keeping’, has suffered emotional manipulation in the past, at the hands of her controlling parents. She vows she will never fall victim to that kind of behaviour again. Laila’s strong. She left home at eighteen, married her childhood sweetheart who was joining the army, and got out of town. Now a widow, and a lawyer, she is struggling to get ahead in a tough business, in a competitive city and without any family support. 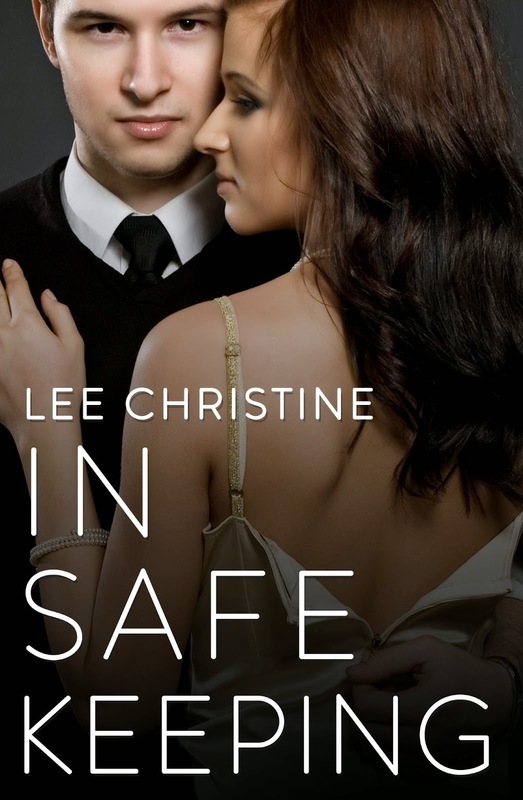 ‘In Safe Keeping’ is book #3 in my loosely linked romantic suspense ‘In Safe’ series. Like ‘In Safe Hands’ and ‘In Safe Arms’, ‘In Safe Keeping’ is a taut, gritty, urban set series involving the Australian military, the Australian legal system, the New South Wales police and two local biker gangs. If you’d like to take a peek at my trailer, here is the link. It was only supposed to be a casual affair, a stress-relieving night time romp, a secret just between the two of them. But when divorce lawyer Laila Richards ends up on the opposite side of the bench to high powered lawyer, Evan Barclay, in a very public, very high profile divorce, she knows their fling will jeopardize the case of her career, and breaks off their relationship. Stunned by Laila’s decision, Evan vows to make the beautiful lawyer deal with him, both in and out of the courtroom. But when suspicious activity begins to emerge, and Laila’s safety is threatened, Evan fears his client — his best friend, the son of the only family Evan has ever known, may be involved. Bound by client confidentiality and battling a massive conflict of interest, Laila and Evan fight to win, fight for justice, and fight for a chance at a relationship that’s anything but casual. Had been for a while now. She was a creature of habit, one of those disciplined types you could set your watch by. Every morning she was out the door by six, except Sunday, when she’d emerge at ten. She liked to walk, and she always took the same route, along the beach then up through the cemetery on the cliff. As a lawyer, you’d think she’d be smart enough to vary her walking route—so it must be laziness that she didn’t. Last Sunday, she’d looked my way, but my eyes were shielded by dark glasses. I’d joined a group of mourners at a graveside funeral, staying on the fringes and clutching my peonies. It was easy to blend in, standing among the others, head bowed, eyes fixed to a spot on the ground. After she’d passed by, I’d broken away from the group and followed her, slipping between the large Victorian headstones topped with archangels and crosses. I read the names as I went, tossing the pink peonies onto a grave when I found a name I liked better than my own. After her walk, she always went to the same cafe, sitting at a corner table and reading the Sunday papers. Yes, Sunday was the best day to watch. She’d skipped her exercise this morning, and the bounce was missing from her step. From my spot on the park bench, I gazed up at the glowing fluorescents in her fourth floor office. The newspaper shook between my fingers. I've added this to my reading list!